After planing the hard maple , and gaining a couple of inches on my biceps in the process, I did some grooving. 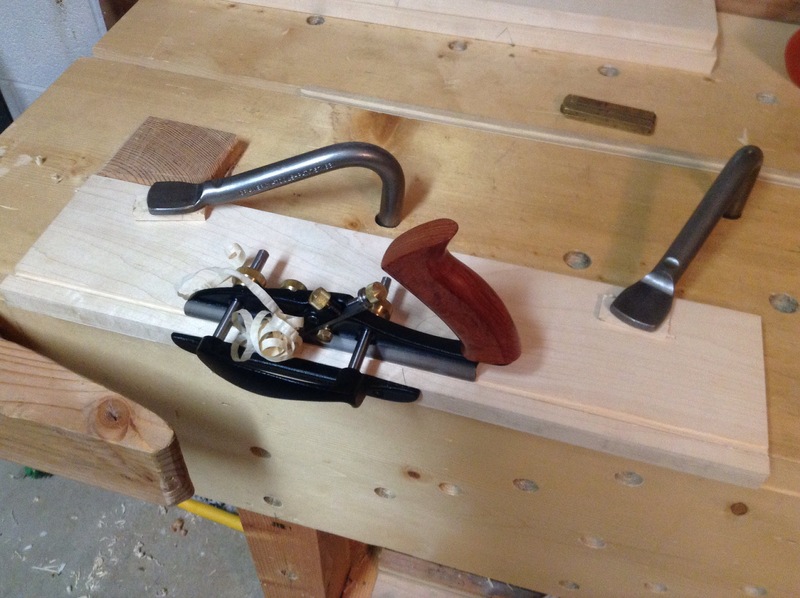 Oh, BTW, there’s a trick to planing hard maple…eat your Wheaties! Anyways….the grooves to accept the back ends are made with the plow. 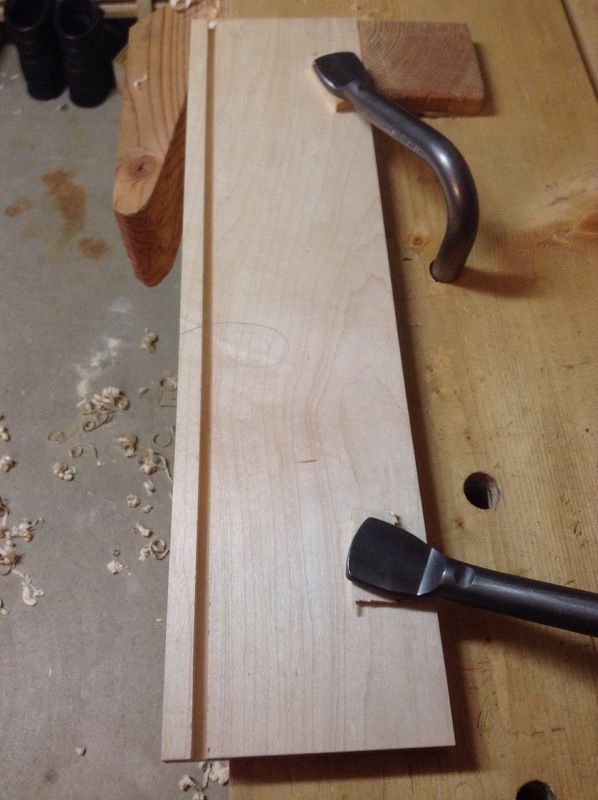 I set it up with a 1/4″ blade and set the fence in 1/2″ to receive the offset tongue on the back. It’s fairly straight forward…used the plow before…such a great tool. 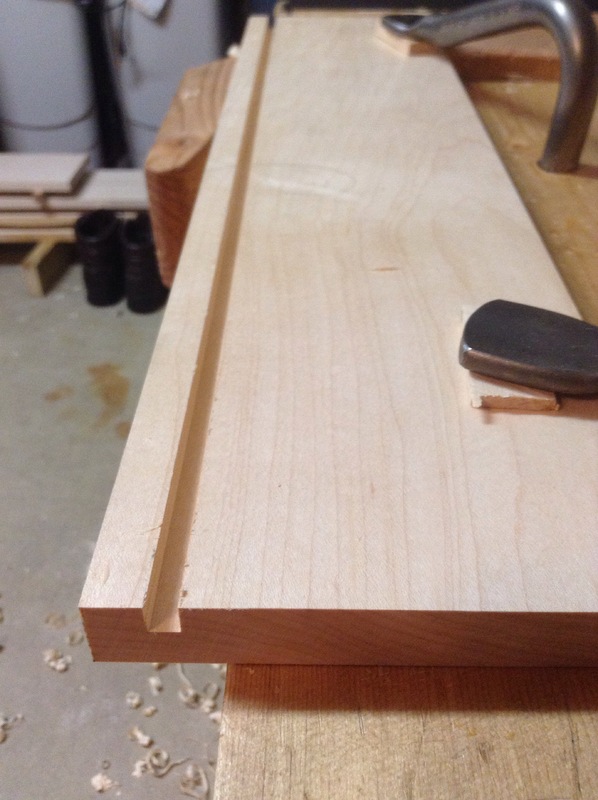 Next I dovetailed the four corners of the carcase. 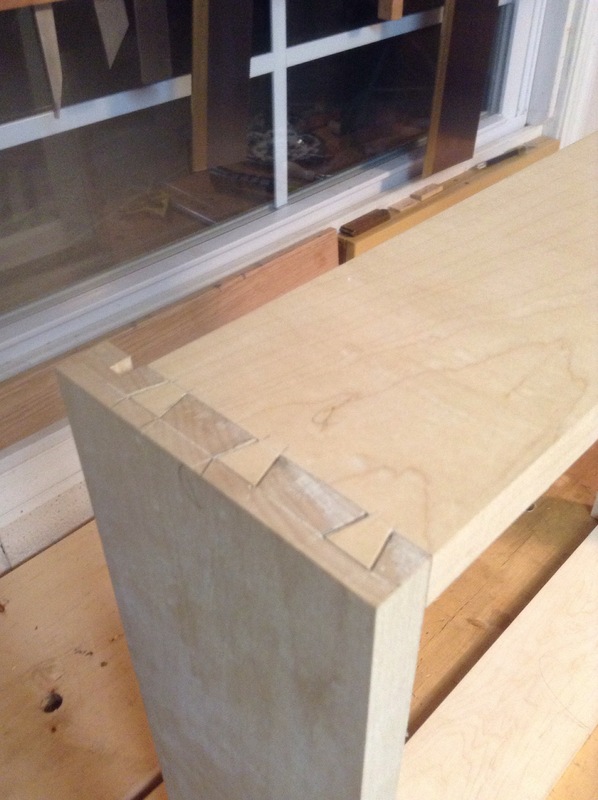 I decided to make them half blind dovetails. I wanted to have the sides clear of end grain because I think this project will be painted. I also have never cut half blinds before, and I am always looking to improve/learn some skills. I am more than happy with the results. There is only one of the joints I might consider too loose. If after glue-up I still don’t like it, I think I might add some wedges. 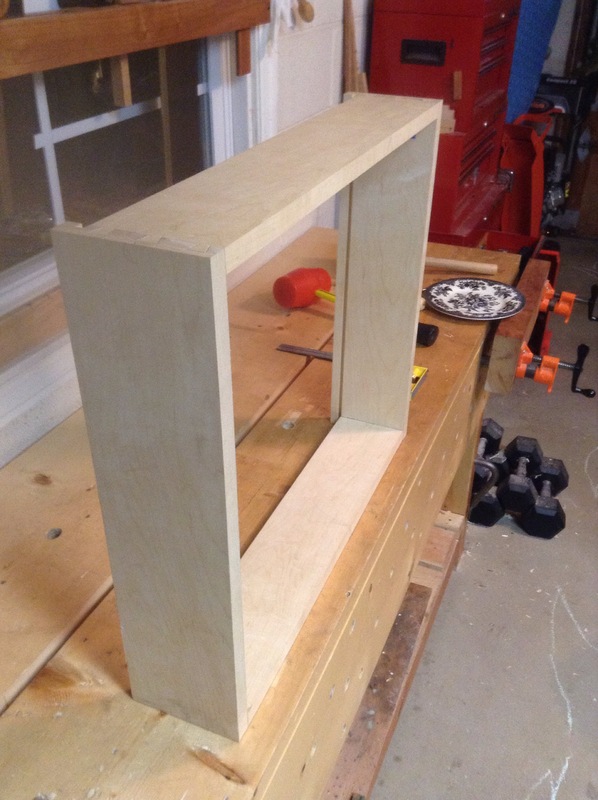 Here’s how it looks so far…just a lonely carcase. Next up: I have to add some grooves for the plates, and cut a dado for the shelf. 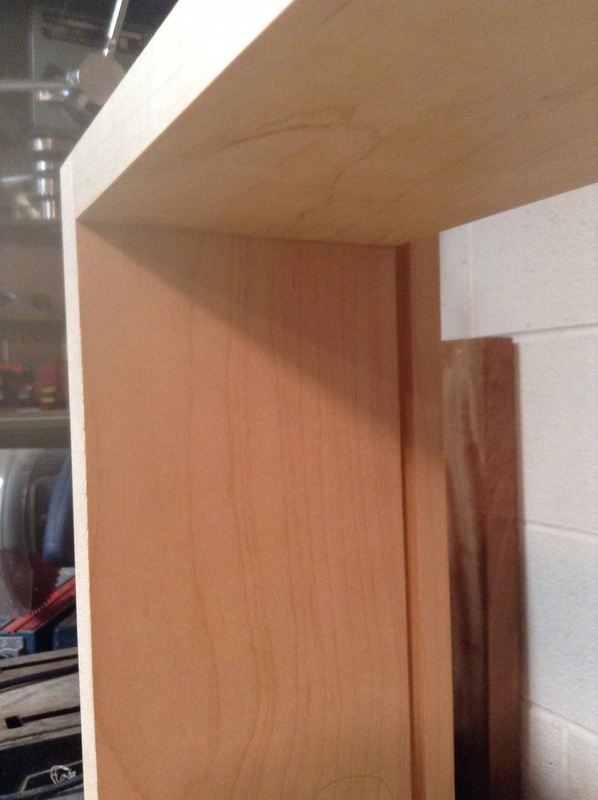 This entry was posted in furniture, hand tools, plate rack, woodworking and tagged hand tools, joinery, plate rack, plow plane by villagecustomfurniture. Bookmark the permalink.